One of the fundamental errors I see consistently across the body of Christ is a nervous unwillingness to talk about matters related to the return of Christ and the end of the age. The reasons people give vary, usually falling somewhere between not wanting to be divisive or thinking there are more important matters for us to focus on than events related to the End Times. These arguments come from well-meaning people but they fall horribly short of the standard God has called us to. The end times were meant to be clearly understood by God’s people in a way the produce hope and change. Here’s a reality that’s helpful to understand: we all have an end-time theology. Most of us just haven’t thought about it or researched it in the Bible. We either believe that the future will get really good and the church will succeed or we believe that the future is dark and will get really bad for the church. If you believe either of these statements, technically you have an end-time theology. These views of the end times flow out of our understanding of Jesus. Will He really rescue humanity? Will He really judge the whole world? Will we really get glorified bodies? Do these “spiritual” truths ever manifest in physical reality? If these things really happen, and they will, what we believe about them affects our lives here and now and will continue to affect us until these events occur. Many argue that studying the end times is too difficult to understand. But God has not left us as orphans to understand His word by ourselves. He has placed us in a family, called the church, that can help us to understand seemingly difficult concepts. He has also promised to guide us into all truth by His Holy Spirit. The same Holy Spirit that reveals Jesus to us will give us understanding about the end of the age. He is the Lord. During the last days there will be no question who is on His side and who is not. Every eye will see Him openly and plainly. He will open the seven seals that release judgment on Earth (Revelation 6:1-8). He will be revealed as the desire of all the nations when He gathers those who love Him to His side (Haggai 2:7, Matthew 24:29-31) He will wage war against the most openly satanic government and society in the history of the planet (Revelation 19:11-21). This is our great hope. Everything that has resisted the Kingdom’s coming into the Earth up until this point will cease resisting and He will wipe away every tear from every eye (Revelation 7:17, Revelation 21:4). He will be the Hero of the entire story. Will exist. We will not be pulled up to Heaven in some cosmic escape plan. I don’t have a primary proof text to support this idea; I have a Bible. John only speaks of the church in chapters 1-3 of Revelation. But he speaks of the saints throughout the entire book of Revelation (Revelation 13:7, Revelation 14:12, Revelation 17:6). To express this mathematically, saints=church. And why not? This will be our finest hour. To take us out at the end of the age would be like a football coach that drove the team hard at practice, played all the games, and skipped the final tournament. And here’s the part where this needs to connect: If the church will be here during the end times, she must begin to prepare for that day even before it arrives. Remember, the book of Revelation was written to the Church, not to the world. Satan, in his desire to snuff out the plan of God and rule the Earth, will mount a massive war against Christ and His people. In order to marshal the Earth to His side, He inhabits a man of extreme political prowess. This man will not just be a political figure, he will be a false messiah on a global scale, the ultimate combination of secular and religious charisma that will draw most of unredeemed mankind to his side. He will attempt to destroy the church and wipe out all of the Jews on the planet in a final bid to stop the plan of God (Revelation 13:1-10). There will be great military and economic tribulation against God’s people and they will have to fully choose Jesus above everything else. Even those who die, however, will not loose, but be the greatest victors in that day. If this man is real, and he is, we must be prepared to respond when he arrives on the world scene. The reality of the end of the age is that the reason most people don’t want to talk about it (and don’t want to be here) is because it’s filled with difficult and terrifying judgments that are poured out seemingly on all humanity. To make things more difficult these judgments are sent by Jesus-the merciful Lord that we’ve come to know and love. And while I believe God intends to at least partially shield His people during this time (see Revelation 7:1-12 and Revelation 9:4) we will also have the responsibility of declaring the love of Christ while simultaneously declaring Him as the source of the judgments falling all around us. This will not be an easy task. All of these factors working together will result in the greatest world-wide harvest that the church has ever seen. Joel 2 describes the last days as a time when the Holy Spirit would literally be poured out on everyone and the result, even in the midst of judgments on the Sun and the Moon, would be an opportunity for many to be saved (see Joel 2:28-30). Jesus said this would be a time when the Gospel of the Kingdom would be proclaimed to every nation (Matthew 24:14). The implications of this great harvest should give us hope. It should also cause us to prepare for the harvest in a way that is different than we have before. A day like no other is coming on the face of the planet. Jesus will be revealed in a way that will leave every human without excuse. They will either love Him or hate Him, there will be no middle ground. The church will be a fully alive people that will endure persecution and declare both the mercy and power of the Lord. The Anti-Christ will arise and lead the world in final satanic resistance against the Lord and His people. This will happen in conjunction with great judgments that will be poured out and a great increase of salvation that will take place before the last day. We will be able to say with Joel, “the day of the Lord is great and very terrible, (Joel 2:11). Is an understanding of the end-times important? How does your view of the end-times affect what you’re doing now? If these things are true are there things that should change with how we look at the church? 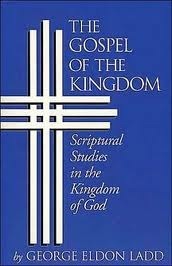 “The Gospel of the Kingdom” by George Eldon Ladd- This is probably the best book that connects our salvation with the idea of the end times. It’s pretty technical but if you want to understand how the end times ties into what Jesus did on the cross and the in-breaking of the Kingdom of God, this is a must read. “A Commentary on the Revelation of John” by George Eldon Ladd- I usually don’t recommend two books by the same author, but this book is absolutely amazing. This book has probably shaped my understanding of the end times more than any other single book. It is a straight-forward, verse-by-verse commentary on the book of Revelation that will cause you to wrestle with the implications of end time events. 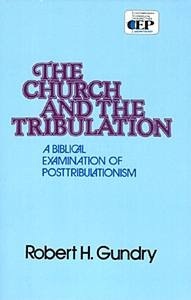 “The Church and The Tribulation” by Robert Gundry- This book tears apart the idea that we will escape the end of the age through the rapture. If you’ve been taught that the Church will be raptured before any difficult events occur, pick up this book with an open mind. You will be greatly helped by it.